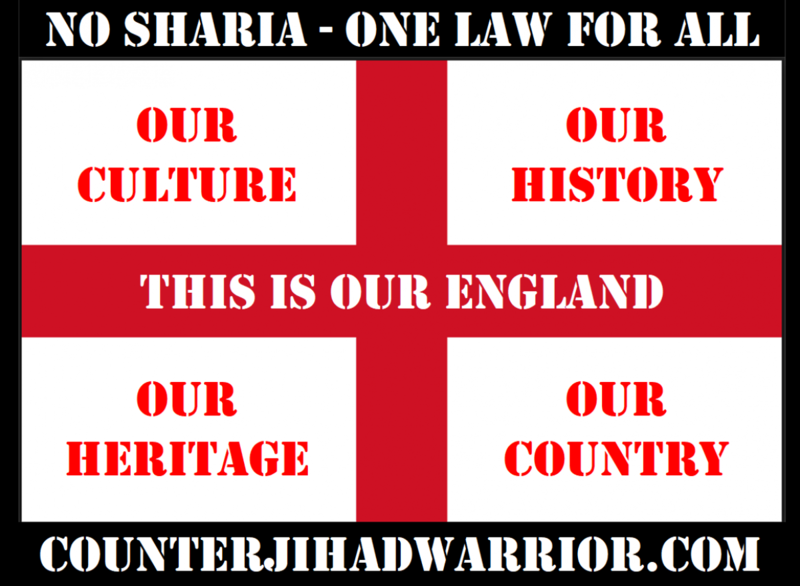 mohammeds koran Archives - counterjihadwarrior.com - Because Islam will NEVER EVER be a Religion of Peace - rather a barbaric, totalitarian cult, based on fear, violence, intimidation & terror. 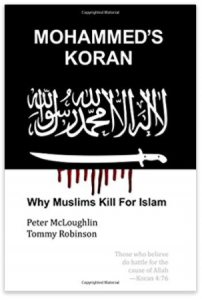 I have a limited number of new, First Edition copies of this book, signed by both of the authors, Peter McLoughlin and Tommy Robinson. This is the book that every non-Muslim should own to familiarise themselves with the Islamic danger that is threatening to overwhelm our peaceful civilisation. Signed copies of this book are now becoming difficult to find due to the large national and multinational organisations such as Amazon, Barnes & Noble, Waterstones and Fortnum & Masons falling victim to political correctness and banning the book from sale. This new, signed, First Edition is an ideal book to keep as an investment – or to gift to friends and relatives in order that they may better understand the Islamic threat. Only through making a significant majority of non-Muslims aware of the truth about Islam can we hope to make a difference, and to preserve our civilisation (and its ethics and values) for future generations. Why are most of the terrorists in the West drawn from the small percentage of our population who are Muslims? This book makes it perfectly clear that Islam is a religion of war and conquest, and that this is precisely how Islam was viewed in the West, right up until thousands of innocent Americans were wiped out on 9/11. The book shows how, since year 1 of the Islamic calendar, Jihad has been the fundamental component leading to Islam’s success. And the book proves that this account of Islam was known by the educated elite across the West for centuries. We prove that “Islam is a Religion of Peace” is The Grand Lie of the 21st century, a form of Holocaust Denial refusing to recognize the endless slaughter of non-Muslims by Muslims. In addition to the 100 page Introduction showing how in just 20 years the lies of the elite have turned the notion of Islam upside-down, the book contains an entire Koran, decrypted by placing the parts of the Koran into chronological order – thus demonstrating that Islam was a failure until Mohammed started to make killing unbelievers an act of worship within Islam. Within minutes of looking at our presentation of the Koran you will understand why so much terrorism comes from the small minority who are Muslims. Moreover, you will understand why many other Muslims are not taking an active role in the vanguard of Jihadi terrorism. You will see laid bare the Koran’s obsession with non-Muslims and Islam’s obsession with wiping out any belief system that is not Islamic. The problem with Islamic terrorism gets worse by the year. Politicians, clergy, teachers are lying to you and your children. They are working to enable the violent Islamic takeover of the West. When the state and the professional classes are aligned with Islam, you owe it to your family to learn the true scale of the problem. As the famous Chinese general Sun Tzu once said – Know Your Enemy. This book will enable you to “know your enemy” which is why our elites are so determined to ban it. I have no doubt that history will record this book as arguably the most important and influential work of the 21st century.